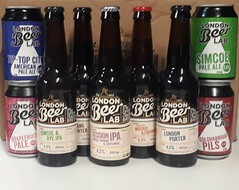 Whether looking to kick-start your homebrewing or as a fun gift for a craft beer lover, our beer making workshop and tasting for one has proved immensely popular since first introduced. Our head brewer Bruno works with our team of instructors to create 5 unique recipes. Come brew under experienced supervision and meet fellow beer enthusiasts. Don't go away empty handed, choose from a gift pack of beers or equipment for your own 5 litre brewery at home*. Your voucher will be ready to download immediately upon purchase and your voucher code will be emailed to you within 7 days of purchase. Voucher code is required for redeeming your voucher on our website. Q. I already have a voucher, how do I see available dates to book? A. Please email us with your booking reference and the session you would like to book.